Organizations are architecting their digital business transformation, and technology is at the core of their journey. On the quest to transform, organizations are confronted by a complex and diverse array of technology choices surrounding cloud computing, big data, IoT, DevOps, agility, analytics, AI and more. Technical professionals must be prepared for the breakneck pace of technology evolution to continue to accelerate. Built on the leading-edge Gartner for Technical Professionals (GTP) research, Catalyst provides a holistic view across a broad range of topics. You will experience the power of our technically-focused research and objective advice and leave with a blueprint for project planning and execution. With an agenda created specifically for the technical professional, Catalyst helps you meet today’s most critical challenges, and position your enterprise for digital success. Pose tough questions, hear the latest data & analytics research and get recommendations from Gartner analysts and guest experts. Click here to view the full list of speakers. Analyze, test and compare innovative technology that will add the most value to your business. Click here to see which exhibitors will be at the summit. Expand your network with your peers and gain insights from those facing similar challenges. Click here to explore networking opportunities. Sign up for agenda updates, content offers and more. By 2024, most organizations will have a significant amount of their data processing executing in someone else's data center. How can IT professionals not only keep their own data centers running well, but plan for and successfully navigate their way through all of this upcoming change? Gain insights to optimize on-premises data centers, integrate with 3rd party cloud platforms and applications, and embrace edge computing. Public cloud and DevOps have increased the pace of business. I&O must automate processes and tools across hybrid and multicloud envrionments to accelerate application delivery. Uncover techniques to use automation, AI, Platform Ops and cloud management tools. Cybersecurity remains a top concern for management as IT continues the move to the cloud. Learn about the latest developments across DevSecOps, 0365 Security, Cloud Security and Identity Access Management and how to leverage vendors to solve for specific business challenges. Cloud-based applications promise to revolutionizing the digital workplace. New tools like Saas offering and the growing Office 365 portfolio require new thinking for development, implementation, management, adoption and troubleshooting. Discover how to handle the changes created by cloud-based applications. From mobility to cloud-based virtual desktops and voice-based virtual assistants with a sprinkle of Windows 10; the rate of change for end users continues to accelerate. Assess how to utilize this change to improve user - and administrator - productivity. Today business requires innovative applications that provide a great customer experience across multiple channels. How can agile application architecture and development practice help you adapt quickly to these new demands? Learn how to create agile architecture, implement DevOps and adopt CX practices that enable the next generation of applications. 75% of organizations are either rebuilding or rearchitecting their applications to adopt cloud. Because cloud computing has a different set of constraints than traditional datacenter infrastructure it requires more than a lift and shift to reap the benefits. Learn how to architect your applications from the ground up with cloud in mind. Increasing data volume, variety and velocity require organizations to implement data management architecture that empowers employees and improves customer experiences. How can a cohesive approach to application integration increase data service efficiency within highly connected digital ecosystems? Dive deep into technology trends and best practices in data management and application integration. Harnessing the power of machine learning to build innovative AI solutions has become critical to be a disruptor within the marketplace. Standing still is no longer an option, so let’s get real. Gain pragmatic guidance on how to design the next generation of analytic architectures and services in order to transform and secure your digital organization. If culture is the #1 roadblock to digital transformation then creating an environment of agility and innovation must happen at the intersection of technology and employee behavior. From operations to data management and cloud security, discover strategies that elevate employee's skills to embrace change and improve digital adoption. 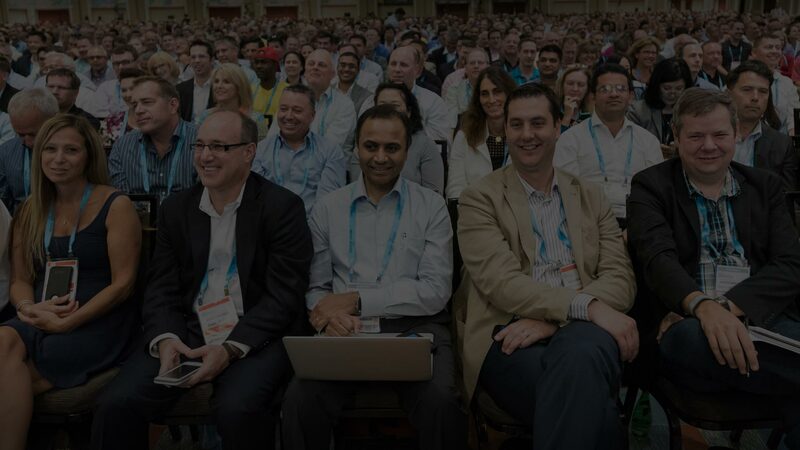 Our lineup of guest keynote speakers, experienced practitioners and Gartner analysts are the experts in their areas of focus.